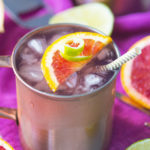 Winter Citrus Moscow Mules are the perfect bright, crisp, and easy cocktails to help usher in the brilliant colors of the approaching spring season. That’s so true, and we always need a thick sweater in the morning and are sweating our faces off by lunch time. But, enough about the weather! Let’s chat about the changing seasons, shall we? Particularly the different seasons in life. To say it bluntly: I am experiencing a peculiar season in life, and God is calling me to make a change. I’ve been blogging under the brand Slim Pickin’s Kitchen since 2011, and that feels as if it were a lifetime ago. Delivering a preemie, being diagnosed with a brain tumor, having a craniotomy, and losing my peripheral vision will do that to a girl, ya know? I’m going to write a whole spiel someday soon, telling you all about how I will be rebranding, what I will be focusing on, and opening up about where my spirit is leading me, but that will all come at a later date. When I do happen to partake in an adult beverage, which isn’t often anymore, Moscow Mules are my go to. They’re all the rage these days so everyone has them, and we’re all getting creative and giving them our own flavorful spin. 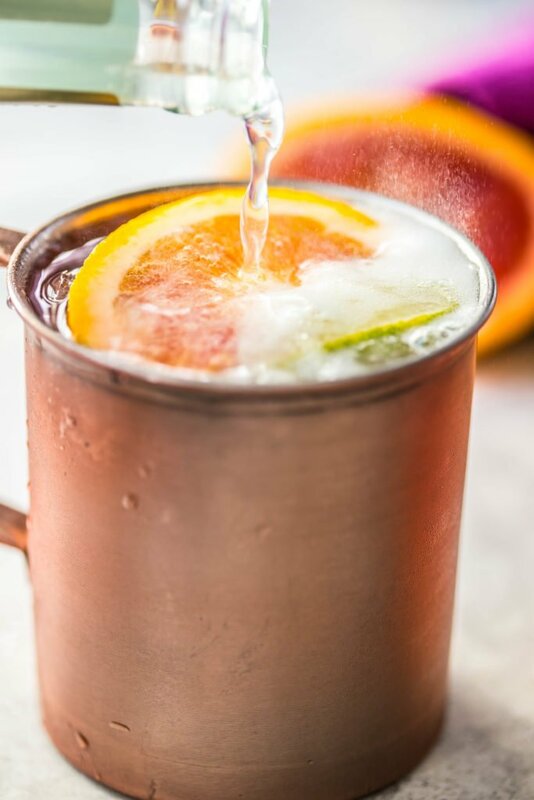 My winter citrus Moscow mules are actually the second citrus mule I have on the blog so suffice it to say…I love these things! This is such an easy cocktail recipe, and it’s great because you can choose which juice you want to use. Grapefruit fan? Use the whole fruit! Obsessed with blood oranges? Go ahead and use one or two! Meyer lemons, tangelos, Cara Caras, limes, or clementines are all fair game and, as long as you use the juice from freshly squeezed fruit, you will be good to go. If you don’t know how to make a Moscow mule, I can teach you! 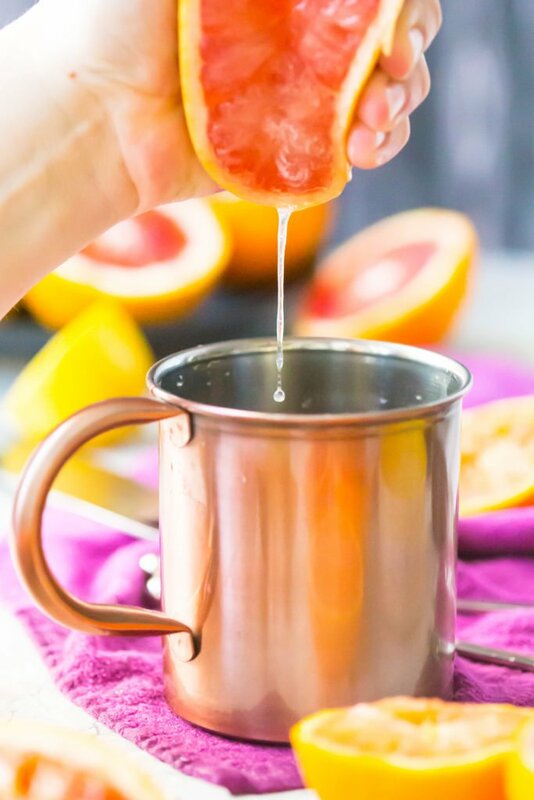 Just add some ice and glug some vodka into a copper mug, squeeze in a bit of fresh lime or other juice, top of with ginger beer, stir and SHAZAM! Moscow Mule. 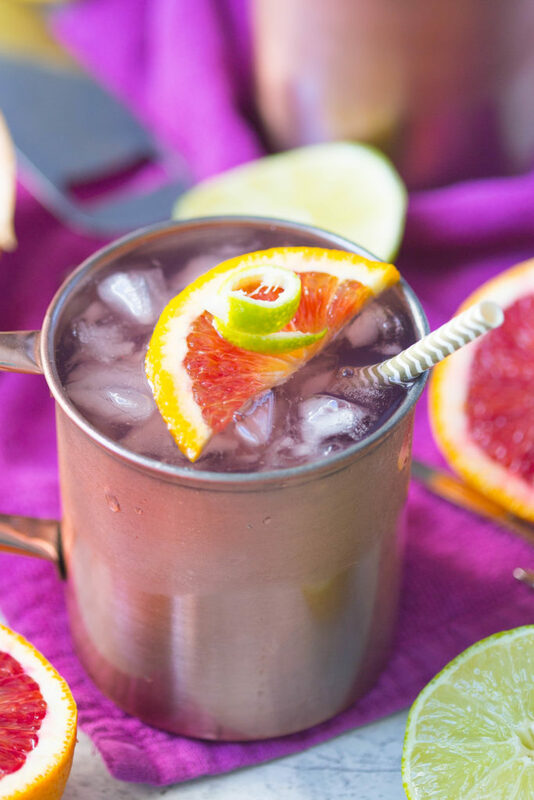 Fill copper mug w/ ice and pour in vodka, orange liquor, and citrus juice. Top off w/ ginger beer and stir. Garnish w/ fresh fruit wedges and serve immediately.